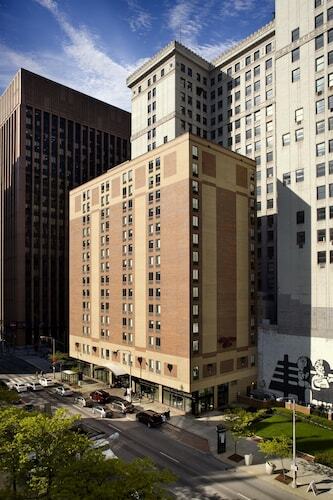 This Cleveland hotel is across the street from Quicken Loans Arena, one block from Progressive Field, four blocks from Tower City Center, and a half-mile from the Rock and Roll Hall of Fame. The East 4th Street is within 5-minute walking. Hampton Inn Cleveland Downtown is a 10-minute walk from the Rock and Roll Hall of Fame and the streets of the Playhouse Square Theater District. The hip Historic Warehouse District is 1.5 miles (2.4 km) away, and FirstEnergy Stadium less than a mile. 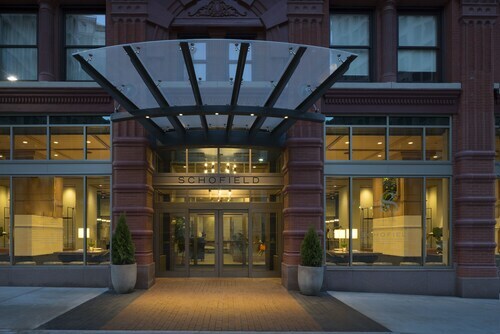 Located in Downtown Cleveland, this hotel is within a 10-minute walk of Cleveland Mall, Cleveland Convention Center, and Cleveland Arcade. Quicken Loans Arena and Rock and Roll Hall of Fame are also within 15 minutes. Tower City-Public Square Station is 13 minutes by foot and Cleveland Station is 13 minutes. This hotel on Cleveland's Public Square is linked to Tower City Center, Quicken Loans Arena, and Progressive Field via indoor walkways. Rock and Roll Hall of Fame, Great Lakes Science Center and Historic Warehouse District are also close at hand. How Much is a Hotel Room in Gates Mills? Hotels in Gates Mills start at $87 per night. Prices and availability subject to change. Additional terms may apply. If you don't know where to start planning your Cleveland escape, rest assured, because there's no end of quality accommodation varieties in Gates Mills. Start your research by comparing the 24 room options on Travelocity, all within a 6-mile (10-kilometer) radius of the downtown core. Find out about many rooms within a short drive from Gates Mills's urban core, including the Holiday Inn Cleveland-Mayfield and Hilton Garden Inn Cleveland East/Mayfield Village. 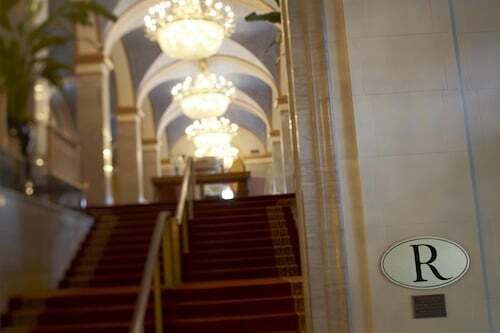 The InterContinental Cleveland is around 11 miles (18 kilometers) from central Gates Mills. 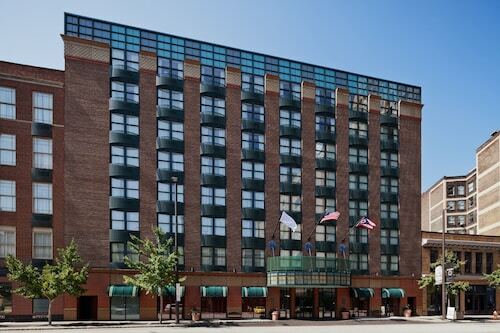 Another alternative is the Courtyard by Marriott Cleveland University Circle, which is 10 miles (16 kilometers) away. If you'd prefer, you could book the InterContinental Suites Hotel Cleveland or the Homewood Suites by Hilton Cleveland-Beachwood. When you've got the time, you could discover more of Northeast Ohio. Explore Northeast Ohio's traditional villages and art galleries and be sure to admire the region's rural landscapes, rolling hills and prairies. In this section of United States of America visitors might also partake in hiking, zip-lining and cycling. East Side is 4 miles (7 kilometers) northwest of Gates Mills and boasts Our Lady of Lourdes National Shrine and St Ann Shrine. 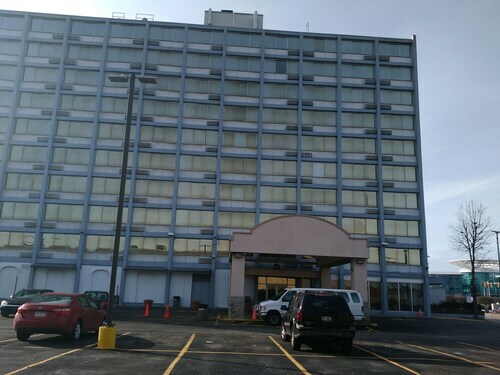 The Courtyard by Marriott Cleveland Willoughby and Econo Lodge Wickliffe - Cleveland East are just some of the Travelocity-recommended accommodation choices in East Side. Or, you could stay in Downtown Cleveland, 14 miles (23 kilometers) to the west of Gates Mills, where you can pick from the The Ritz-Carlton, Cleveland and Cleveland Marriott Downtown at Key Center. If you're staying in Downtown Cleveland, make sure you venture to the Cleveland Police Historical Society, Inc. & Museum and Cleveland Public Library. If you are passionate about sport and love attending thrilling clashes you and your family could spend a day at Quicken Loans Arena, located 15 miles (24 kilometers) to the west of Gates Mills. Book a hotel right by the action at the Renaissance Cleveland Hotel or the Hyatt Regency Cleveland At The Arcade. Located 25 miles (38 kilometers) away from the downtown area of Gates Mills is Hopkins International Airport. Stay nearby at Sheraton Cleveland Airport Hotel or Cleveland Airport Marriott. Our greeting was very courteous. The complimentary drinks and warm food was a nice welcome after a long drive. The hot breakfast was a great way to start the day. The room was clean and cozy. They have no parking for guest. You have to pay to park in a garage and they do not validate. I enjoyed the pool, spa and restaurant. I liked the complimentary newspaper. Location. Breakfast Buffet. Clean Room. Friendly Staff. It was about what you expect for dirt cheap place no towels TP was almost empty smoke detector was hanging from the wall and beeping told the front desk about it never fixed it If you’re a college student looking for a place to crash perfect.